Aristotle (; Greek: Ἀριστοτέλης Aristotélēs, pronounced [aristotélɛːs]; 384–322 BC) was an ancient Greek philosopher and scientist born in the city of Stagira, Chalkidiki, in the north of Classical Greece. Along with Plato, Aristotle is considered the "Father of Western Philosophy", which inherited almost its entire lexicon from his teachings, including problems and methods of inquiry, so influencing almost all forms of knowledge. Little is known for certain about his life. His father, Nicomachus, died when Aristotle was a child, and he was brought up by a guardian. At seventeen or eighteen years of age, he joined Plato's Academy in Athens and remained there until the age of thirty-seven (c. 347 BC). His writings cover many subjects – including physics, biology, zoology, metaphysics, logic, ethics, aesthetics, poetry, theatre, music, rhetoric, psychology, linguistics, politics and government – and constitute the first comprehensive system of Western philosophy. Shortly after Plato died, Aristotle left Athens and, at the request of Philip II of Macedon, tutored Alexander the Great beginning in 343 BC. Teaching Alexander gave Aristotle many opportunities. He established a library in the Lyceum which helped him to produce many of his hundreds of books, which were papyrus scrolls. The fact that Aristotle was a pupil of Plato contributed to his former views of Platonism, but, following Plato's death, Aristotle immersed himself in empirical studies and shifted from Platonism to empiricism. He believed all concepts and knowledge were ultimately based on perception. Aristotle's views on natural sciences represent the groundwork underlying many of his works. Aristotle's views on physical science profoundly shaped medieval scholarship. Their influence extended from Late Antiquity and the Early Middle Ages into the Renaissance, and were not replaced systematically until the Enlightenment and theories such as classical mechanics. 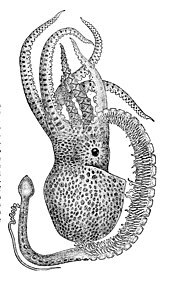 Some of Aristotle's zoological observations, such as on the hectocotyl (reproductive) arm of the octopus, were disbelieved until the 19th century. 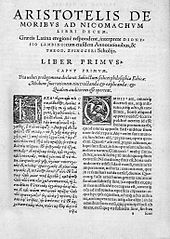 His works contain the earliest known formal study of logic, studied by medieval scholars such as Peter Abelard and John Buridan. Aristotelianism profoundly influenced Islamic thought during the Middle Ages, as well as Christian theology, especially the Neoplatonism of the Early Church and the scholastic tradition of the Catholic Church. Aristotle was revered among medieval Muslim scholars as "The First Teacher". His ethics, though always influential, gained renewed interest with the modern advent of virtue ethics. All aspects of Aristotle's philosophy continue to be the object of academic study. Though Aristotle wrote many elegant treatises and dialogues for publication, only around a third of his original output has survived, none of it intended for publication. 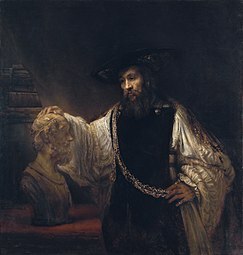 Aristotle has been depicted by major artists including Raphael and Rembrandt. Early Modern theories including William Harvey's circulation of the blood and Galileo Galilei's kinematics were developed in reaction to Aristotle's. In the 19th century, George Boole gave Aristotle's logic a mathematical foundation with his system of algebraic logic. In the 20th century, Martin Heidegger created a new interpretation of Aristotle's political philosophy, but elsewhere Aristotle was widely criticised, even ridiculed by thinkers such as the philosopher Bertrand Russell and the biologist Peter Medawar. More recently, Aristotle has again been taken seriously, such as in the thinking of Ayn Rand and Alasdair MacIntyre, while Armand Marie Leroi has reconstructed Aristotle's biology. The image of Aristotle tutoring the young Alexander remains current, as in the 2004 film Alexander, and the Poetics continues to play a role in the cinema of the United States. In general, the details of Aristotle's life are not well-established. The biographies written in ancient times are often speculative and historians only agree on a few salient points. 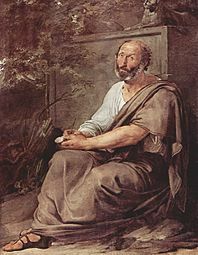 With the Prior Analytics, Aristotle is credited with the earliest study of formal logic, and his conception of it was the dominant form of Western logic until 19th century advances in mathematical logic. Kant stated in the Critique of Pure Reason that with Aristotle logic reached its completion. 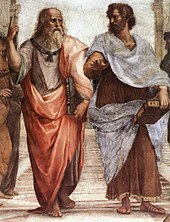 Plato (left) and Aristotle in Raphael's 1509 fresco, The School of Athens. Aristotle holds his Nicomachean Ethics and gestures to the earth, representing empirical observation, whilst Plato gestures to the heavens, representing The Forms, and holds his Timaeus. if there were no other independent things besides the composite natural ones, the study of nature would be the primary kind of knowledge; but if there is some motionless independent thing, the knowledge of this precedes it and is first philosophy, and it is universal in just this way, because it is first. And it belongs to this sort of philosophy to study being as being, both what it is and what belongs to it just be virtue of being. The coming to be is a change where nothing persists of which the resultant is a property. In that particular change he introduces the concept of potentiality (dynamis) and actuality (entelecheia) in association with the matter and the form. Referring to potentiality, this is what a thing is capable of doing, or being acted upon, if the conditions are right and it is not prevented by something else. For example, the seed of a plant in the soil is potentially (dynamei) plant, and if is not prevented by something, it will become a plant. Potentially beings can either 'act' (poiein) or 'be acted upon' (paschein), which can be either innate or learned. For example, the eyes possess the potentiality of sight (innate – being acted upon), while the capability of playing the flute can be possessed by learning (exercise – acting). Actuality is the fulfilment of the end of the potentiality. Because the end (telos) is the principle of every change, and for the sake of the end exists potentiality, therefore actuality is the end. Referring then to our previous example, we could say that an actuality is when a plant does one of the activities that plants do. clearly wrong in modern terms. 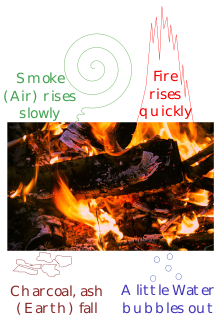 Natural motion depends on the element concerned: the aether naturally moves in a circle around the heavens, while the 4 Empedoclean elements move vertically up (like fire, as is observed) or down (like earth) towards their natural resting places. Aristotle's writings on motion remained influential until the Early Modern period. John Philoponus (in the Middle Ages) and Galileo are said to have shown by experiment that Aristotle's claim that a heavier object falls faster than a lighter object is incorrect. A contrary opinion is given by Carlo Rovelli, who argues that Aristotle's physics of motion is correct within its domain of validity, that of objects in the Earth's gravitational field immersed in a fluid such as air. 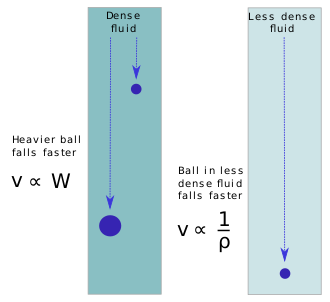 In this system, heavy bodies in steady fall indeed travel faster than light ones (whether friction is ignored, or not), and they do fall more slowly in a denser medium. Aristotle argued by analogy with woodwork that a thing takes its form from four causes: the wood used (material cause), its design (formal cause), the tools and techniques used (efficient cause), and its decorative or practical purpose (final cause). 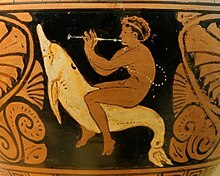 Aristotle reports on the sea-life visible from observation on Lesbos and the catches of fishermen. He describes the catfish, electric ray, and frogfish in detail, as well as cephalopods such as the octopus and paper nautilus. His description of the hectocotyl arm, used in sexual reproduction, was widely disbelieved until the 19th century. He gives accurate descriptions of the four-chambered fore-stomachs of ruminants, and of the ovoviviparous embryological development of the hound shark. Aristotle did not do experiments in the modern sense. 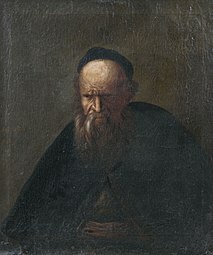 He used the ancient Greek term pepeiramenoi to mean observations, or at most investigative procedures like dissection. 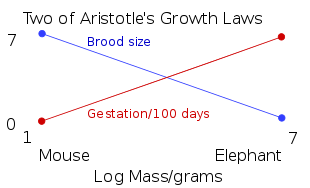 In Generation of Animals, he finds a fertilised hen's egg of a suitable stage and opens it to see the embryo's heart inside. Aristotle distinguished about 500 species of animals, arranging these in the History of Animals in a graded scale of perfection, a scala naturae, with man at the top. His system had eleven grades of animal, from highest potential to lowest, expressed in their form at birth: the highest gave live birth to hot and wet creatures, the lowest laid cold, dry mineral-like eggs. Animals came above plants, and these in turn were above minerals. He grouped what the modern zoologist would call vertebrates as the hotter "animals with blood", and below them the colder invertebrates as "animals without blood". Those with blood were divided into the live-bearing (mammals), and the egg-laying (birds, reptiles, fish). Those without blood were insects, crustacea (non-shelled – cephalopods, and shelled) and the hard-shelled molluscs (bivalves and gastropods). He recognised that animals did not exactly fit into a linear scale, and noted various exceptions, such as that sharks had a placenta like the tetrapods. To a modern biologist, the explanation, not available to Aristotle, is convergent evolution. He believed that purposive final causes guided all natural processes; this teleological view justified his observed data as an expression of formal design. 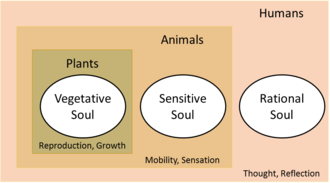 Aristotle's psychology, given in his treatise On the Soul (peri psyche), posits three kinds of soul ("psyches"): the vegetative soul, the sensitive soul, and the rational soul. Humans have a rational soul. The human soul incorporates the powers of the other kinds: Like the vegetative soul it can grow and nourish itself; like the sensitive soul it can experience sensations and move locally. 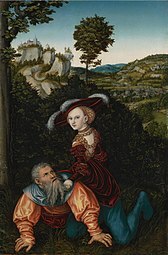 The unique part of the human, rational soul is its ability to receive forms of other things and to compare them using the nous (intellect) and logos (reason). For Aristotle, the soul is the form of a living being. Because all beings are composites of form and matter, the form of living beings is that which endows them with what is specific to living beings, e.g. the ability to initiate movement (or in the case of plants, growth and chemical transformations, which Aristotle considers types of movement). In contrast to earlier philosophers, but in accordance with the Egyptians, he placed the rational soul in the heart, rather than the brain. Notable is Aristotle's division of sensation and thought, which generally went against previous philosophers, with the exception of Alcmaeon. According to Aristotle in On the Soul, memory is the ability to hold a perceived experience in your mind and to distinguish between the internal "appearance" and an occurrence in the past. In other words, a memory is a mental picture (phantasm) that can be recovered. Aristotle believed an impression is left on a semi-fluid bodily organ that undergoes several changes in order to make a memory. A memory occurs when stimuli such as sights or sounds are so complex that the nervous system cannot receive all the impressions at once. These changes are the same as those involved in the operations of sensation, Aristotelian 'common sense', and thinking. 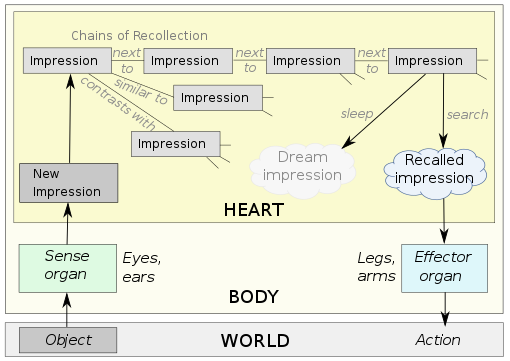 Aristotle believed the chain of thought, which ends in recollection of certain impressions, was connected systematically in relationships such as similarity, contrast, and contiguity, described in his Laws of Association. Aristotle believed that past experiences are hidden within our mind. A force operates to awaken the hidden material to bring up the actual experience. According to Aristotle, association is the power innate in a mental state, which operates upon the unexpressed remains of former experiences, allowing them to rise and be recalled. Aristotle's practical philosophy covers areas such as ethics, politics, and rhetoric. 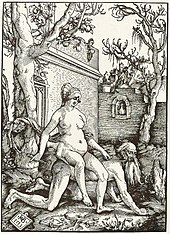 Aristotle's analysis of procreation describes an active, ensouling masculine element bringing life to an inert, passive female element. On this ground, proponents of feminist metaphysics have accused Aristotle of misogyny and sexism. However, Aristotle gave equal weight to women's happiness as he did to men's, and commented in his Rhetoric that the things that lead to happiness need to be in women as well as men. Greek Christian scribes played a crucial role in the preservation of Aristotle by copying all the extant Greek language manuscripts of the corpus. 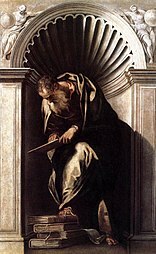 The first Greek Christians to comment extensively on Aristotle were Philoponus, Elias, and David in the sixth century, and Stephen of Alexandria in the early seventh century. 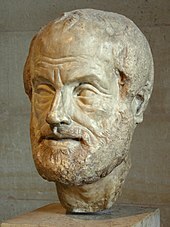 Philoponus stands out for having attempted a fundamental critique of Aristotle's views on the eternity of the world, movement, and other elements of Aristotelian thought. After a hiatus of several centuries, formal commentary by Eustratius and Michael of Ephesus reappears in the late eleventh and early twelfth centuries, apparently sponsored by Anna Comnena. Aristotle was one of the most revered Western thinkers in early Islamic theology. Most of the still extant works of Aristotle, as well as a number of the original Greek commentaries, were translated into Arabic and studied by Muslim philosophers, scientists and scholars. Averroes, Avicenna and Alpharabius, who wrote on Aristotle in great depth, also influenced Thomas Aquinas and other Western Christian scholastic philosophers. 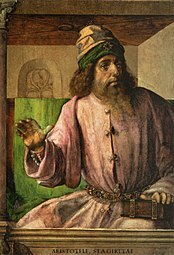 Alkindus considered Aristotle the outstanding and unique representative of philosophy and Averroes spoke of Aristotle as the "exemplar" for all future philosophers. 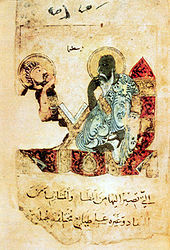 Medieval Muslim scholars regularly described Aristotle as the "First Teacher". 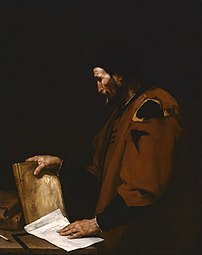 The title "teacher" was first given to Aristotle by Muslim scholars, and was later used by Western philosophers (as in the famous poem of Dante) who were influenced by the tradition of Islamic philosophy. 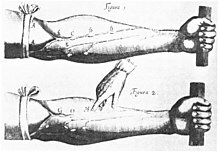 William Harvey's Exercitatio Anatomica de Motu Cordis et Sanguinis in Animalibus, 1628, showed that the blood circulated, contrary to classical era thinking. The 19th century German philosopher Friedrich Nietzsche has been said to have taken nearly all of his political philosophy from Aristotle. Aristotle rigidly separated action from production, and argued for the deserved subservience of some people ("natural slaves"), and the natural superiority (virtue, arete) of others. It was Martin Heidegger, not Nietzsche, who elaborated a new interpretation of Aristotle, intended to warrant his deconstruction of scholastic and philosophical tradition. During the 20th century, Aristotle's work was widely criticised. The philosopher Bertrand Russell argued that "almost every serious intellectual advance has had to begin with an attack on some Aristotelian doctrine". Russell called Aristotle's ethics "repulsive", and labelled his logic "as definitely antiquated as Ptolemaic astronomy". Russell stated that these errors made it difficult to do historical justice to Aristotle, until one remembered what an advance he made upon all of his predecessors. In 1985, the biologist Peter Medawar could still state in "pure seventeenth century" tones that Aristotle had assembled "a strange and generally speaking rather tiresome farrago of hearsay, imperfect observation, wishful thinking and credulity amounting to downright gullibility". Aristotle wrote his works on papyrus scrolls, the common writing medium of that era. 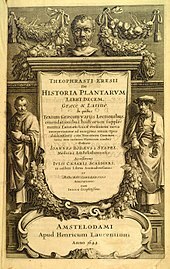 His writings are divisible into two groups: the "exoteric", intended for the public, and the "esoteric", for use within the Lyceum school. Aristotle's "lost" works stray considerably in characterisation from the surviving Aristotelian corpus. Whereas the lost works appear to have been originally written with an view to subsequent publication, the surviving works mostly resemble lecture notes not intended for publication. Cicero's description of Aristotle's literary style as "a river of gold" must have applied to the published works, not the surviving notes. A major question in the history of Aristotle's works is how the exoteric writings were all lost, and how the ones we now possess came to us. 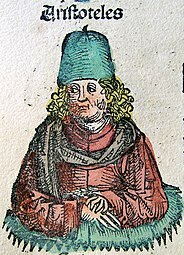 The consensus is that Andronicus of Rhodes collected the esoteric works of Aristotle's school which existed in the form of smaller, separate works, distinguished them from those of Theophrastus and other Peripatetics, edited them, and finally compiled them into the more cohesive, larger works as they are known today. The Aristotle Mountains in Antarctica are named after Aristotle. He was the first person known to conjecture, in his book Meteorology, the existence of a landmass in the southern high-latitude region and called it "Antarctica". Aristoteles is a crater on the Moon bearing the classical form of Aristotle's name. What's the good word on Aristotle?